A very unique stall can be seen this year at Auto Expo where there is no glittering glamour but definitely one can see towering passion. It is not any R&D department or an Auto giant but the students of Lovely professional University (LPU) who are showcasing their talent on such a huge platform as Auto Expo. The students of LPU have showcased their 15 vehicles which have been conceptualized, designed, developed and manufactured by themselves, at the Delhi Auto Expo-2014. A part of the attractive line up of vehicles displayed at the expo were an array of new offerings - world’s first family solar car, world’s smallest car, mobile operated driverless Car, multi-‘ energy ‘Smart Hybrid Car’, Unique bikes, Hybrid Cryogen Engine, Hexa Copter, All Terrain Vehicles amongst others. Developed as a part of the world- class application based curriculum at LPU, each project highlights the talent and the thrust given to creativity at the university. Speaking on the occasion, Mr Ashok Mittal, Chancellor, Lovely Professional University said, “It’s a privilege to be a part of Delhi Auto Expo showcasing our University’s talent. We aim to be a truly global university where innovation, technological advancement and R&D are core to every initiative we undertake. This project is a sneak peek into the talent and innovation at LPU. Conceptualized on both inventive and practical factors, these vehicles would be commercialized later. All the vehicles have freshness in their design as these students’ creativity was not limited by the industry expectation. Students’ creativity was propelled by a huge passion and dedication to provide practical solutions. I am overwhelmed with the originality and creativity displayed by the students, and wish them all the best in their future endeavours”. Mr Mittal also disclosed that the University is in serious discussion with one of the global fortune top 50 companies for design collaboration for these as well as future projects of the university. He added that the details of the collaboration would be shared very soon. World’s first family solar car does not need any prevalent costly fuel and is highest mileage vehicle on solar energy. Another such evidence of students talent is the ‘driverless car’ which can be operated with mobile phone from anywhere in the world. While ‘Retro Voiture’, world’s smallest car designed on vintage model has royal looks with modern technology, The Smart Hybrid Car (SHC) is world’s most fuel efficient car and can only be driven by an authorized person, using finger scanner. SHC will also not get started if the driver has consumed alcohol or does not have normal blood pressure and body temperature. Unique bikes are also on display that can work on duel energy sources. Moreover, students & faculty have also produced innovative accessories like Hybrid Cryogen Engine which utilizes nitrogen to make it maximum fuel efficient with running cost of just Rs .57/km; whereas, the Hexa Copter is the future messenger which will easily air carry the needed things to customers home, be used for air surveillance or high altitude photo shoots. Lovely Professional University is India’s Largest University with more than 25000 students studying in 600 acres campus. The education delivery system of LPU has attracted students from 28 states of India and over 26 different countries like USA, Australia, China, Germany, Iran, Iraq, China, Tanzania, Kenya, Uganda, Burundi, Rwanda, Mongolia etc. LPU offers 200+ programs, in more than 40 disciplines, which are in tune with industry expectations. 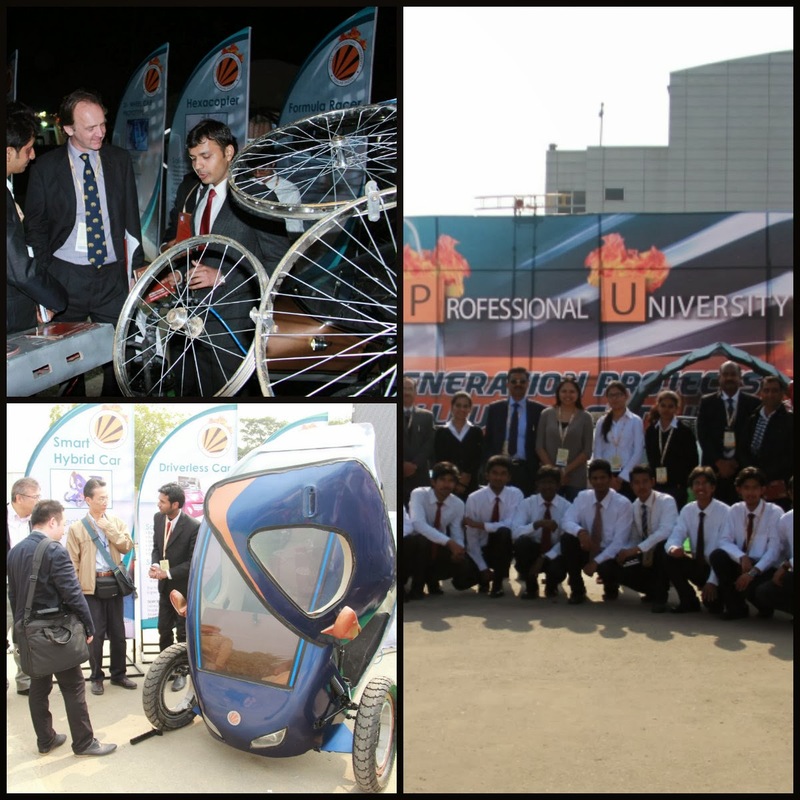 LPU has been innovating with its curriculum and pedagogy as per the global standards. Recently, university has moved to the US pattern of education delivery like Flexi-Credit system – where students have the choice of electing dual specializations. At LPU students are placed in 300+ global super brands like IBM, Cognizant, Infosys, HCL, Bharti Airtel, Accenture, Nokia, Siemens and many more. I like studying in colleges and universities. I even used some advices to write my psychology essay for college. You can check this out and read it if you need.